The inability of many Ugandan women to contribute financially to the family often means that they are perceived as less valuable than men. Instead, a woman’s expectation is to look after children, cook food and work growing fruit and vegetables in the garden. 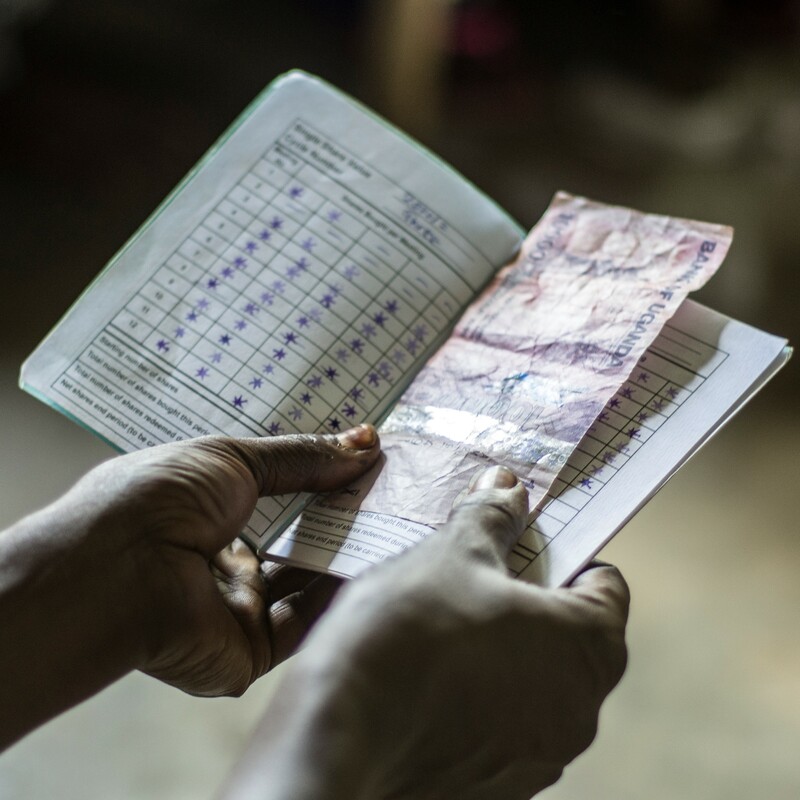 As a way to empower these local women, JENGA has instituted and supported Savings and Loans Groups across some of the poorest communities in Eastern Uganda. Rather than locking desperate people into micro-finance arrangements with high interest rates, JENGA’s savings projects put the group members and the community in control of meeting their own needs. This project provides participants with a safe and sustainable way of saving and borrowing – avoiding bank fees which would negate the small amount of money these women are often able to save. The groups are community-based, women-led and depend on existing community dynamics to survive. Each week, group members meet to contribute and save what they can afford. Once the group fund reaches a certain threshold, members can request loans for starting or sustaining a business, agricultural work or paying children’s school fees. JENGA supports these groups by providing the initial training and start-up materials and by regular visits to each of the groups to check on progress and offer further guidance. In a remote area of great need, JENGA has funded and implemented a tried and tested goat project to effectively lift people out of poverty. Orphans and widows in mountain communities often encounter the greatest financial hardships, and a goat-rearing project is a highly sustainable way of supporting them. A female goat of breeding age is vaccinated and given to previously identified people who have been adequately trained in how to properly care for their new goat. 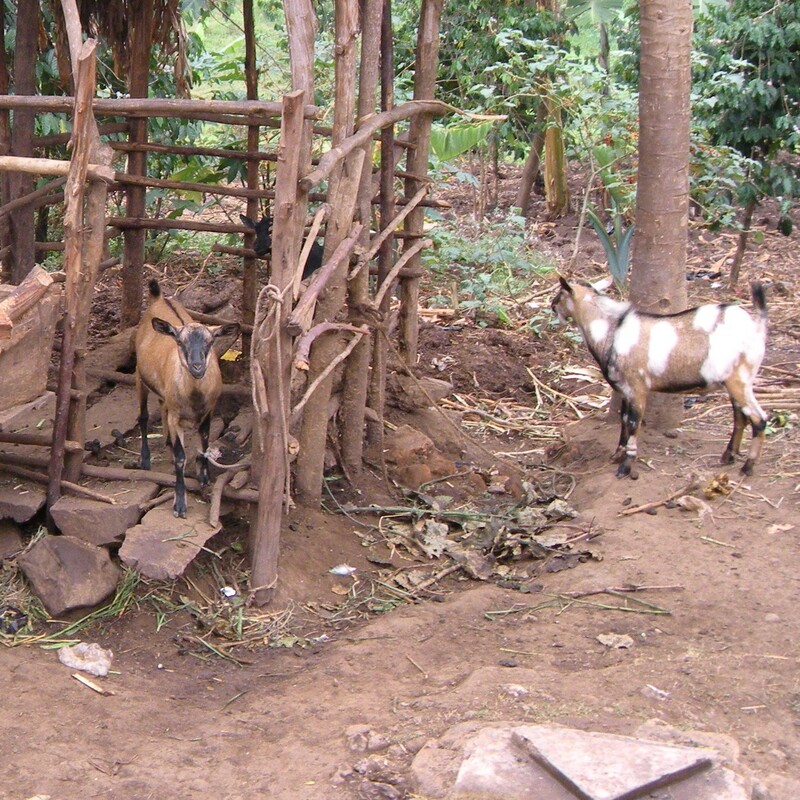 These goats provide income through their future offspring for further breeding and the meat that they are able to provide. The model used is highly replicable and the sustainability of this project is ensured by returning the first born kid of each goat back to the project so it can be given away again to another family in need. 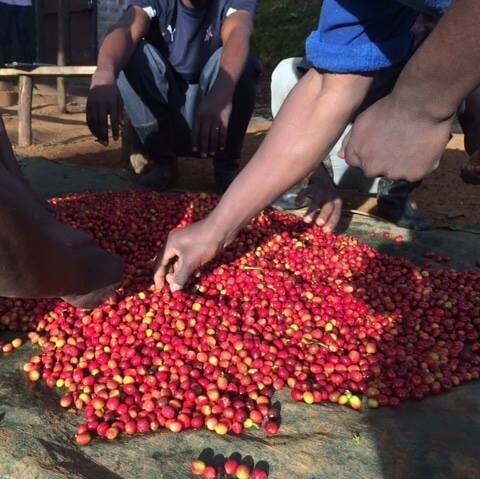 Working alongside local coffee farmers and equipping them with improved, organic production methods and top-quality cultivation principles, JENGA is helping Ugandan farmers to re-imagine their product and drastically increase their return. By linking farmers directly to overseas markets, they are able to obtain a better and fairer price for their world-class coffee. JENGA has adopted an empowering model of business, partnering with established farmers to run a transparent and fair business. This approach rewards individuals properly, pays on time and genuinely cares about the wider community, not just the final product. JENGA is also using this project as an opportunity to meet the farmers, pray for their land, their harvest, their families and their future. On top of this, profits from the international coffee sales are then shared with the farmers and driven back into the business so that we can establish a truly sustainable and long-term project which will benefit the entire community for years to come. 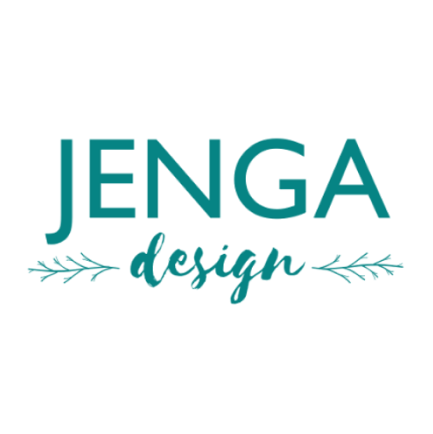 JENGA is reaching out to and empowering unemployed women with the ability to earn supplemental income for their families through the creation and selling of crafts. After hearing the needs and desires of local women who were already engaged in JENGA’s more relational ministries, it became apparent that these women were desperate to contribute to their families. Through large group trainings and smaller weekly follow-ups, JENGA design has created an avenue for these ladies to sell handmade jewellery, various bags, custom bunting, and more. JENGA is training these groups in fashioning their merchandise, ensuring the quality of their work, providing them with access to both a local and international audience to purchase their product, and delivering a fair wage for the hard work put into their crafts. In partnership with Farming God’s Way, JENGA is training and equipping subsistence farmers with agricultural techniques aimed at both increasing productivity, as well as conserving the precious land resource for the future. 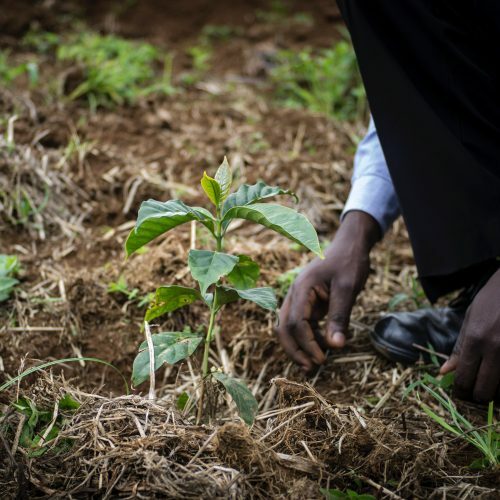 By implementing techniques such as mulching, minimal soil disturbance and composting, farmers are able to generate proven increases in both production and soil fertility. 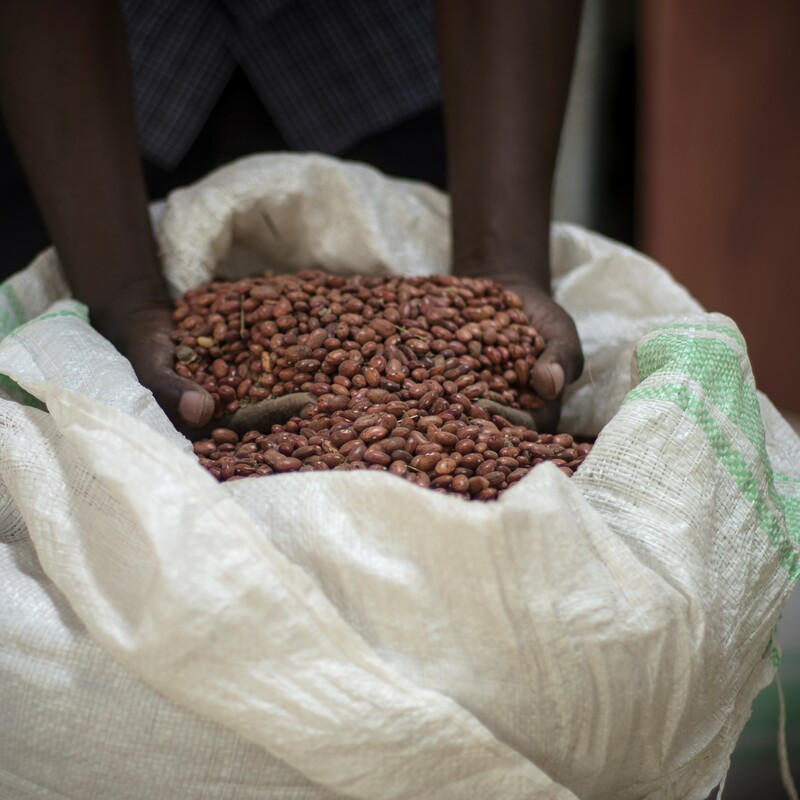 And while these practices are vitally important, Ugandan farmers can further benefit by ‘adding value’ to their crop. This can be achieved through a range of activities such as grinding raw maize into maize flour, removing the husks from rice or handling coffee in a way that increases its quality rating. Such activities are traditionally accomplished by hand, but dedicated machines can process the crops much more efficiently and effectively. JENGA is equipping communities by providing access to these life changing machines. The farmers are able to reduce transport costs, conserve both time and energy, and dramatically increase their income through a local business operated in a transparent and honest fashion. JENGA is empowering and supporting Eastern Uganda’s subsistence farmers with agricultural techniques aimed at conserving resources for the future. Through the building of food storehouses, the food storage project provides a sustainable, regular food supply for local farming communities. These storehouses are designed to combat malnutrition and serve as an income generating business for local farmers.